The 2nd National Energy Efficiency Action Plan was adopted in December 2017, albeit with considerable delay. The plan includes measures to support the development of model contracts and the market for energy services. The 2015 Energy Efficiency Law introduced the ESCO concept and energy performance contracting. However, the adoption of the by-law to introduce ESCO market procedures and model contracts, and establishment of the energy efficiency fund to support ESCO projects in the public sector are still pending. The model contracts and legal gap analysis have been drafted in March 2018 with international technical assistance. PPP legislation should be improved to introduce energy efficiency criteria and facilitate ESCO service contracting in the public sector. Multi-annual budgeting should be allowed by the Ministry of Finance. 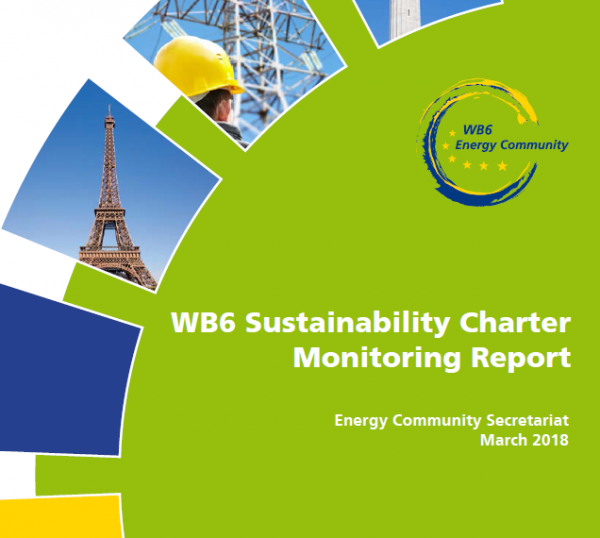 Following the entry into force of the Law on Energy Performance of Buildings in November 2016, there was little progress with respect to the adoption of secondary legislation to enable the Directive’s implementation. In 2017, energy efficiency in buildings, previously falling under the responsibility of several institutions, was brought under the competence of the newly established Ministry of Infrastructure and Energy. In November 2017, the Ministry established a technical working group to prepare a methodology for calculating the energy performance of buildings, minimum energy performance requirements and certification procedures. The working group is supported by the Secretariat. The focus of the 2nd National Energy Efficiency Action Plan is the buildings sector and measures for public and residential buildings rehabilitation. It also envisages a 2% annual renovation rate of central government buildings. However, only a limited number of renovation projects has been implemented to date. Local banks started providing credit lines for energy efficiency measures in the residential sector. The recently established Energy Efficiency Agency and planned Energy Efficiency Fund should contribute to the implementation of this measure. Albania has no district heating or cooling systems. There was no progress with respect to the transposition and implementation of the relevant provisions of Directive 2012/27/EU on Energy Efficiency, i.e. adoption of a methodology and carrying out of a comprehensive national assessment of the potential for the application of high-efficiency cogeneration and efficient district heating and cooling. Albania should amend the 2015 Energy Efficiency Law to include these requirements. The regulation on the national energy efficiency fund to support the implementation of the Energy Efficiency Action Plan, as required by the 2015 Energy Efficiency Law, was drafted, but its adoption is pending. Besides the Fund, Albania should establish additional financing mechanisms to support energy efficiency investments (including energy efficiency criteria in public procurement and private sector investments/ESCOs) and better utilise available financing provided by regional assistance programmes. Disclaimer: The ownership and the opinion expressed pertain to their authors. While all the effort are made to ensure the accuracy of this publication, it is not intended to provide legal advice as individual situations may differ and should be discussed with an expert. For any specific technical or legal advice on the information provided and related topics, contact us through “lorenc.gordani@euroelektra.al”.